Hallo Ladies ich hab wieder einen tollen Post hier für euch gefunden !! Hi ladies I see a new very nice Post on: oneofeachblog.com. Enjoy! Mark shirt along the front and back of the collar for more of an “off the shoulder” type look. Make sure to mark the front deeper than the back. Also mark the bottom of the shirt. Crop it shorter if you’d like. I cut right above the stitching. 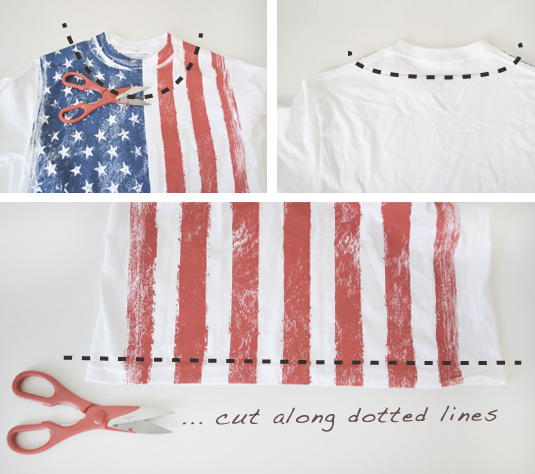 Cut along marked lines on the neck and the bottom of the shirt. Remember not to cut the front and back of the neck at the same time. 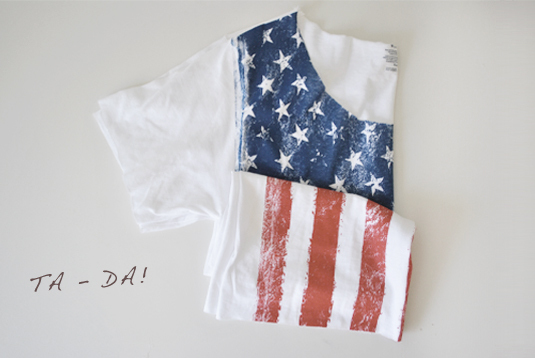 Start about 5-6 inches from the bottom of the shirt, and mark a horizontal line. This is where the fringe will start and your stoping point when you being to cut. 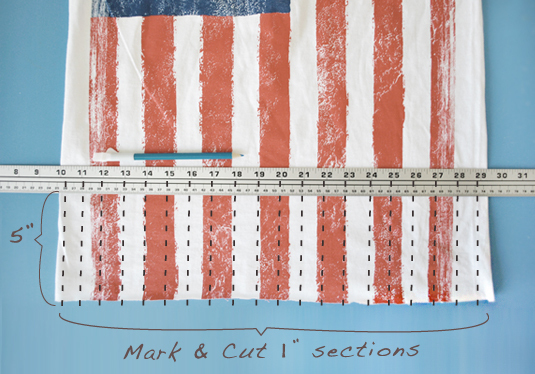 Then mark 1 inch vertical strips along the bottom on the shirt. This will be the fringe. Cut along vertical marked lines until you hit your stoping point. 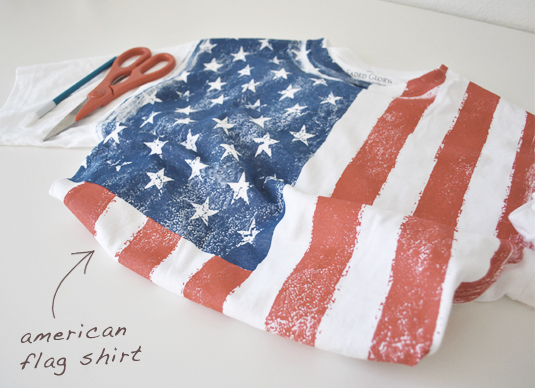 For this I cut through both sides of the shirt at once. 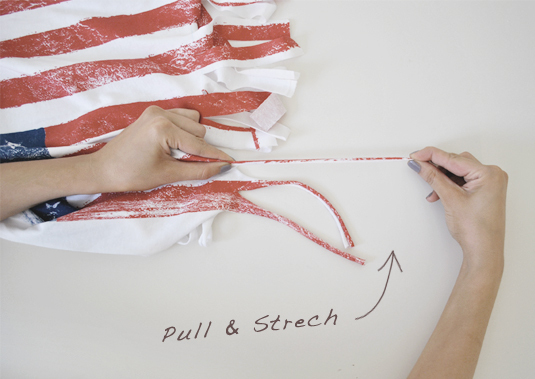 Once strips have been cut, pinch the top and bottom of a single strip and pull. This should stretch the strip and cause the sides to curl in. Repeat! Put on and go find a bbq. have a great week end gurl!! This is awesome and so ready for a music fesitval! Great post, Love! I totally enjoyed viewing your DIY tips on this baby!! will do my own version of the once I get to have a time :) kisses! 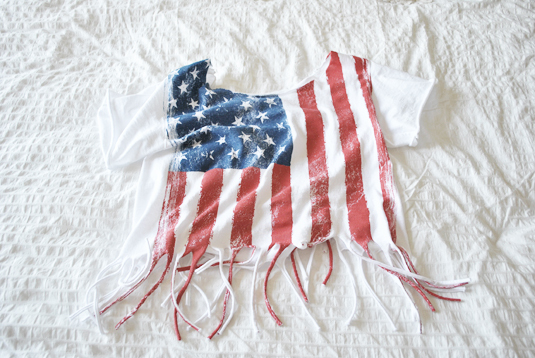 I love this post, it is really cool.I really like making my own clothes and adding a little flare to shop bought items. I always spent my half an hour to read this webpage's posts all the time along with a cup of coffee.